I haven’t been out much lately, as I guess everyone can see with the lack of activity here and the cob webs starting to form. But I do try to get out as much as I can. Last month, I did manage to sneak out and watch the much-anticipated Aladdin, we had purchased our tickets late last year and finally the day arrived. With much talk around it as soon as it opened, we knew we made the right choice months ahead. So while having the chance to be out, there is no slipping up on getting in some foodventures along the way. 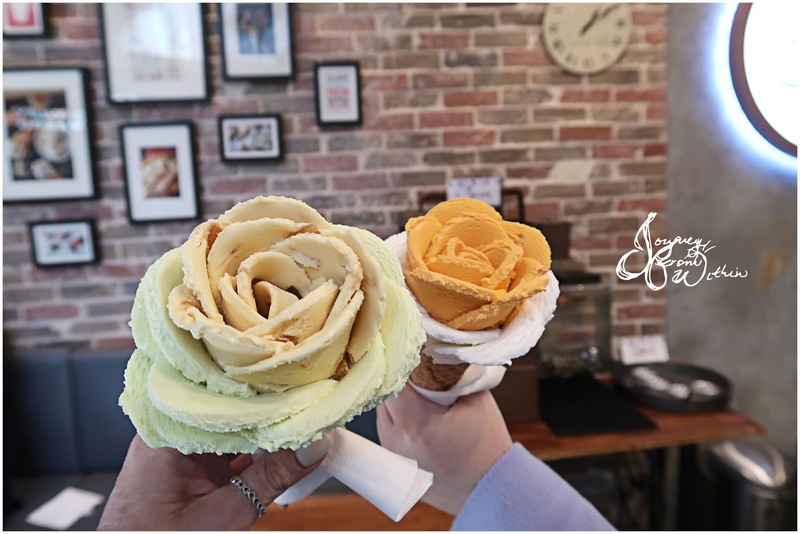 So, this lovely Saturday afternoon we were standing in the queue-less i-Creamy for our rose ice cream. There are only a handful of flavours to choose from for your rose ice cream, and these can be noted with the green four clover stands. On this lovely Saturday afternoon I went with the apple cinnamon and creaming soda. The apple pie had bits of dried apple inside, which gave you a nice little textural bite. The creaming soda is everything you would expect it to be, it really reminds me of the Schweppes creaming soda that you can get in Hong Kong, the yellow soda. 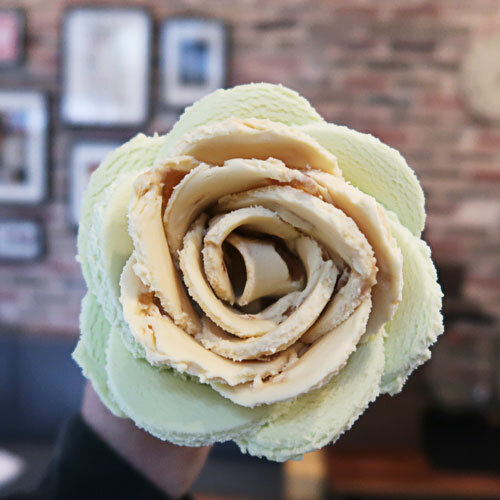 I-creamy really lives up to their name, as the ice cream is smooth and creamy. Flavours do range, so you are always assured to get a different combination if you do revisit. There is one thing I am sure of, this is one rose no lady will be decline… ok, I can’t speak for all ladies, but I know this isn’t one I will decline. Would you? 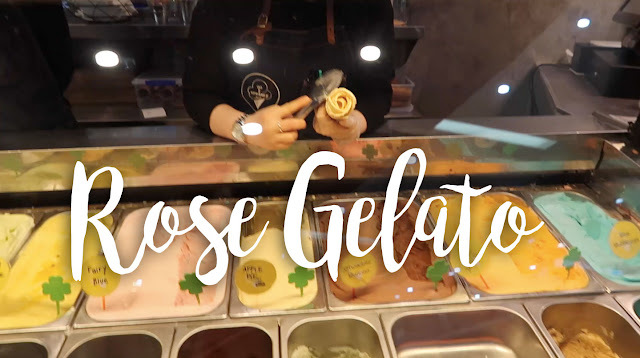 Watch below how the rose ice cream is made. I hear you, it is such pain watching it being made and then all those photos to make it worthy! haha!! This is gorgeous!!! A whole new world of delicious! I'm so inspired.